Today the hamlet of Folkington, north west of Eastbourne, is a quiet hamlet reached by a dead-end lane which runs south from the A27. You would not think today that it was once the site of drama and high jinks, but this was indeed the case. 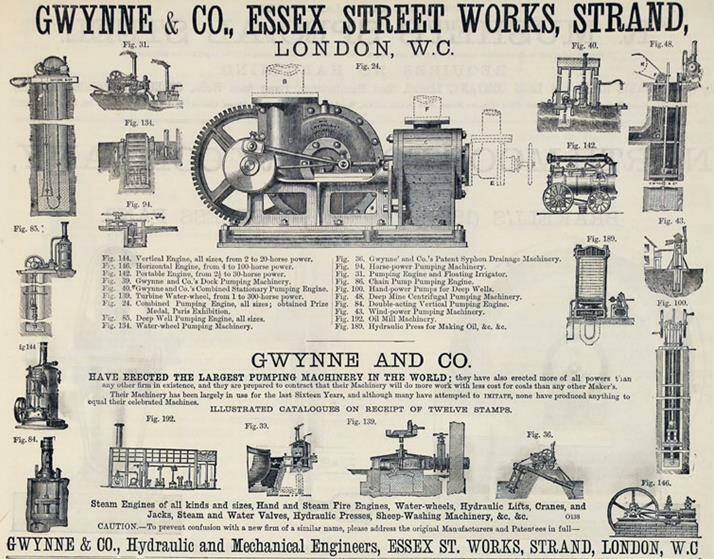 James Gwynne could be said to be the epitome of the Victorian self-made man. Born in 1832, he made a fortune with steam pumps. He was a difficult man, and fell out with his brothers to such an extent that they went into business in competition with him. In 1873 he bought the twin estates of Wooton and Folkington, which today face each other on either side of the A27 west of Polegate, and set about turning himself into a country gentleman. He neglected his business and proceeded to buy up more and more land locally, including the historic Michelham Priory. It was said that he could hunt all day and not leave his land. We know quite a lot about James Gwynne from the biographies of his daughter Violet and his granddaughter, the cooker writer Elizabeth David. Both tried to get away from the influence of the family as soon as they could, Violet by marrying Gordon Woodhouse and moving to Southover Grange in Lewes, accompanied, we are told, by her husband and a lover, whilst being visited by 3 other lovers and making a name for herself as the best harpisicord player of her time; and Elizabeth by fleeing to the mediterranian. James Gwynne with the two sons he did not disinherit. It seems that James terrorised his family with his moods. He fell out with two of his sons and disinherited them He also engaged in large numbers of disputes, including disputes about rights of way on his land. He ran Eastbourne Rural District Council into the ground over a path on the downs, took court action against one poor man for trying to use the old turnpike through his land (whilst simultaneously running a dispute with his own solicitor over the bills for the case) and persistently removed the footbridge on a bridleway in Milton Hide, near Arlington. Each time the bridge was removed, Hailsham Rural District Council put it back. The route is today on the rights of way map as a bridleway. One of the first thing James Gwynne did was to apply to the Quarter Sessions to move the public road to Folkington Hamlet away from Folkington Manor. An earlier owner, Thomas Sheppard MP, had done the same and had also applied to divert a footpath, but had not tried to move the road quite so far away and in any case seems to have given up on the idea, since the road and the path did not move. James also applied to divert a bridleway to the south of the Manor House away from the house and also to downgrade a road to the east of the estate to a bridleway. He was a powerful man and he got his order from the court. James died in 1915 and the estates passed to his son Rupert, who became MP for Horsham. It was agreed that Rupert would live in Wooton Manor and another son, Roland, would live in Folkington Manor. Roland had political ambitions too. He was in for selection as conservative candidate for Lewes, but one of the disinherited brothers dobbed him in as being gay. That was the end of that. However he was to become active in local politics in Eastbourne. But in 1924 Rupert died. Because of the patriarchal will made by James there was no question of any of the daughters or wives inheriting. 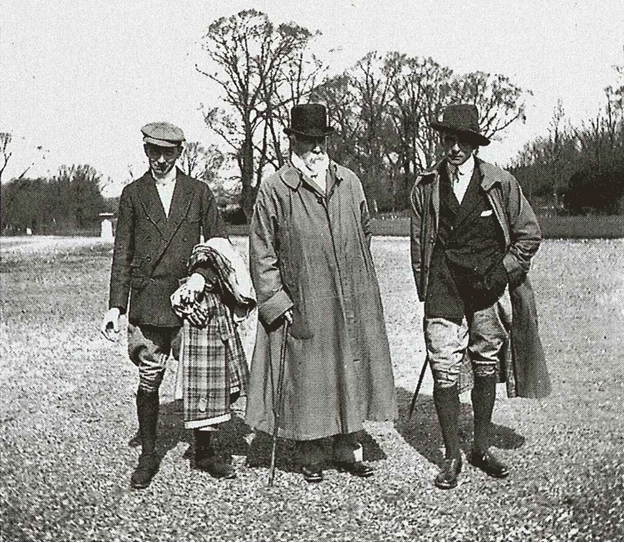 Roland got the lot and encouraged Rupert’s widow and family to leave Wooton Manor. If he followed the family politics, Roland would not have been pleased at the election of a radical Labour government. This government passed an act in 1949 to cause all rights of way to be recorded and added to a definitive map of rights of way. 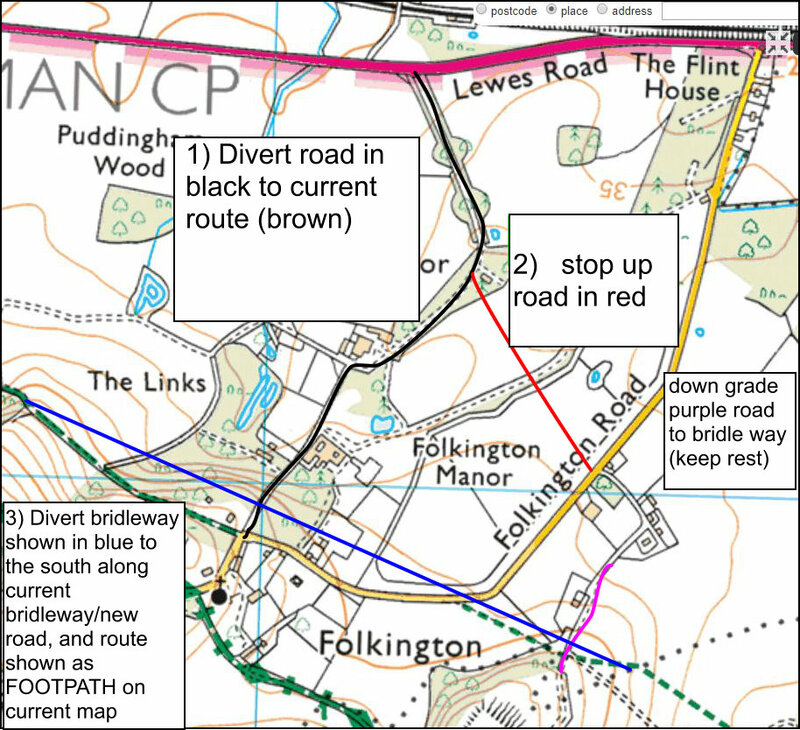 Since the law says (and will say up to 2026) that once a route is a highway, it is always a highway unless there is a legal act which diverts or blocks it, East Sussex Council staff had to wade through all the quarter sessions court records since the 18th century checking for mentions of rights of way that had been created by diversions. The diversions that James Gwynne and Thomas Sheppard had obtained were duly recorded in a catalogue of such diversions. Given the difficulty of reading old court records and the sheer number of them, we can only admire the persistence of the official or officials in recording them. But when it came to recording the rights of way in Folkington, someone seems to have forgotten to look at the catalogue. The bridleway James had diverted was recorded as a footpath. The road downgraded to a bridleway was ignored altogether. There was also the matter of the footpath across the Folkington estate which Thomas Sheppard had applied to divert, but had not diverted, which meant that it was still legally in existence. And on top of all this, the maps shown on the diversion applications showed a road leading from what is now the A27 which was said to lead to Hailsham via a track called Robin Post Lane. There is a lot of other evidence that this is a public highway too. In the 1950s it was suggested that Roland had pulled strings over charges against his friend and doctor, Doctor Bodkin Adams, who was alleged to have killed up to 200 of his patients in Eastbourne over a 30 year period. You can find a walk following Dr Adams’ adventures here. The income from his father’s company was no longer available because the firm had closed in the 1920s and Roland was forced to lease out Folkington Manor in 1947 and move to Wooton Manor. Folkington Manor was sold, with a small amount of land in 1968, but it is believed that descendants of the Gwynnes still live in Wooton Manor. The occupants of both manor houses are resisting most of the applications for rights of way.